This post is part of our Healthy Communities Initiative blog series, highlighting the role of regional Federal Reserve banks in supporting cross-sector collaboration across community development and health sectors. Here we look at efforts to address the connections between housing and health in the Philadelphia region. A recent study by the Philadelphia Department of Public Health and St. Christopher’s Hospital found, for example, that child hospitalizations dropped 70 percent within six months when asthma triggers—dampness, tobacco smoke, pests—were removed from patients’ homes. In its 2015 report, “Affordability and Availability of Rental Housing in the Third Federal Reserve District,” the Philadelphia Fed notes that many low-income renters in its district live in substandard conditions. Author Eileen Divringi writes that these renters can experience housing quality issues, such as overcrowding or deficiencies in facilities like plumbing. The 2015 report drove the Philadelphia Fed to further explore the links among health, housing, and community development . As part of the Healthy Communities Initiative, a program that spans the Federal Reserve system, its staff work to encourage cross-sector collaboration among the fields in the region. The initiative is a partnership between the regional Federal Reserve Banks and the Robert Wood Johnson Foundation, with efforts directed by various Fed banks to link health and community development projects in cities across the country. The Philadelphia Fed has brought the two fields together at a number of gatherings over the past couple of years. Child hospitalizations dropped 70% when asthma triggers were removed from homes. At an Ohio conference cohosted by the Philadelphia and Cleveland Feds, Robert Kahn, director of the Cincinnati Children’s Hospital, presented research on the direct correlation between poor housing quality and asthma admissions. He compared a map of the region’s housing code violations, such as mold, and a map of the region’s hospital admissions for asthma. The Fed’s role is to “set the table” for partnerships between community development and health, providing venues for education and discussion, contributing original research, and promoting existing efforts in the fields, Baldini said. The Philadelphia Fed hosted a conference for health and community development practitioners this past May. It was a stop on the tour for the book What It’s Worth, a collection of essays edited by researchers from the Federal Reserve Bank of San Francisco, CFED, and Urban Institute. The attendees dug into an essay called “Financial Health is Public Health” by Jason Purnell, professor at Washington University in St. Louis. In the piece, Purnell lays out the mental and physical consequences of financial stress. He explains how poverty can impede one’s ability to have a healthy lifestyle, or lead one to cope by engaging in unhealthy habits. At the conference, Sarah Szanton, professor at the Johns Hopkins School of Nursing, presented her work on the connections between housing quality and health. Her interest in the relationship stems from her former job as a nurse practitioner who made house calls to low-income patients. In that role, it became clear to Szanton that her patients’ environments often contributed to their poor health. Szanton later created CAPABLE, a research project on the health effects of home adjustments that help seniors “age in place” safely. (Read about financial services that promote aging in place and age-friendly health centers on the BHPN blog.) The subjects, low-income seniors, have access to occupational therapy, nursing, and handyman services. During a five-month study, the majority of the participants improved their self-care and reported a decrease in depressive symptoms. “A lot of initiatives in our district are looking at the intersections of housing quality and health,” Diavua said. 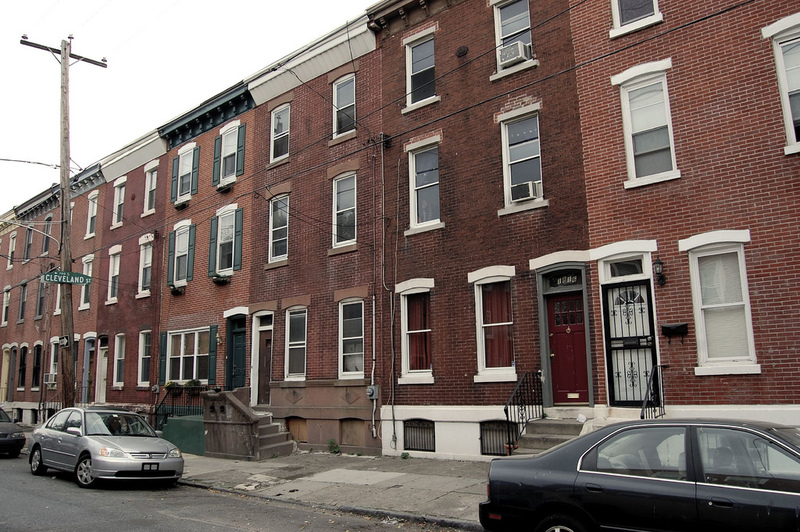 In Philadelphia, the Healthy Rowhouse Project eliminates asthma triggers and other unhealthy conditions in local homes. The majority of residential units in the city are rowhouses, most aging and many riddled with mold, lead paint, or pests. The organization advocates for policies that repair the vulnerable homes and researches financing options. Part of the Philadelphia Fed’s goal is to publicize and support these existing projects. The staff recognize that many organizations have already made strides in linking the health and community development fields—and other individuals and groups are searching for opportunities to join in the collective efforts.